How Does Your Car Start? When you insert the key in your car’s ignition and turn the switch or push the button to ‘ON,’ a signal is sent to the car’s battery. Upon receiving this signal, the car battery converts chemical energy into electrical energy. This electrical power is delivered to the starter to crank the engine. The battery also provides power to the car’s lights and other accessories. Voltage refers to the amount of electrical potential your battery holds. The standard automotive battery in today’s vehicles is a 12-volt battery. Each battery has six cells, each with 2.1 volts at full charge. A car battery is considered fully charged at 12.6 volts or higher. When the battery’s voltage drops, even a small amount, it makes a big difference in its performance. The table on the left shows how much energy remains in a battery as the battery voltage reading changes. 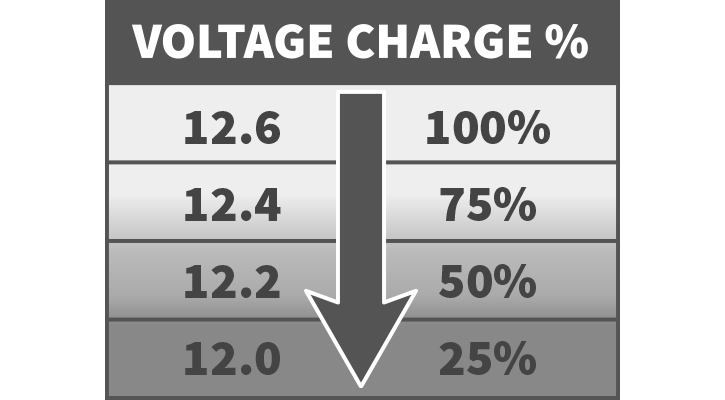 Though not fully charged, a car battery is considered charged at 12.4 volts or higher. It is considered discharged at 12.39 volts or less. Note: A fully charged specific gravity of 1.265 corrected to 80°F is assumed. Electrical energy in a battery is generated by a chemical reaction. 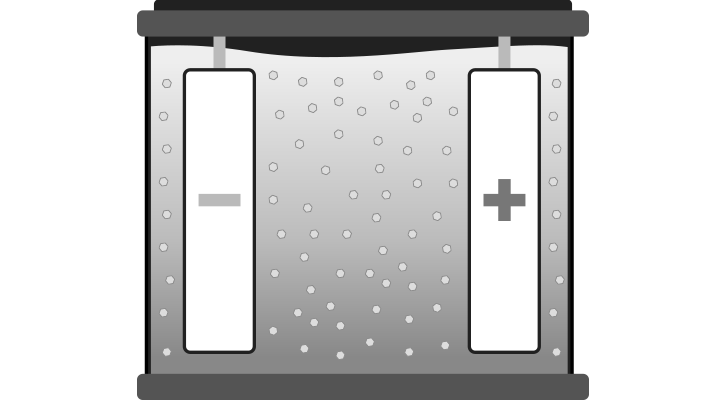 In the case of a lead-acid battery, a mixture of sulfuric acid and water, known as electrolyte, reacts with active material inside the battery. A battery’s voltage largely depends on the concentration of sulfuric acid. To get a voltage of 12.6 volts or higher, the weight percentage of sulfuric acid should be 35 percent or more. As a battery is discharged, the reaction between sulfuric acid and active material forms a different compound and the concentration of sulfuric acid declines. Over time, this causes the battery’s voltage to drop. Vehicle engines require cranking power to start. The power needed depends on many factors, such as engine type, engine size and temperature. Typically, as temperatures drop, more power is needed to start the engine. 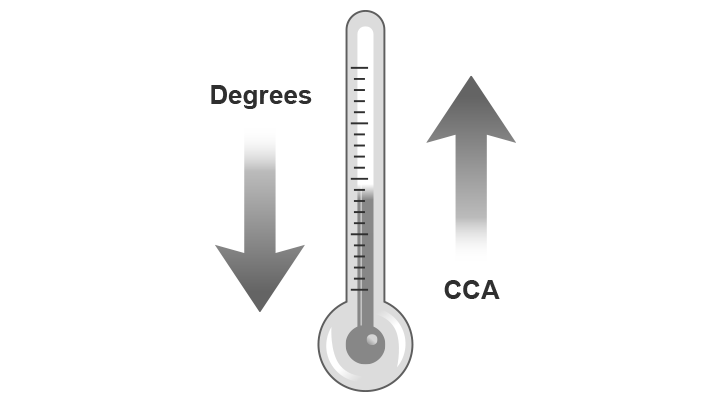 Cold cranking amps (CCA) is a rating that measures a battery’s cranking power. It refers to the number of amps a 12-volt battery can deliver at 0°F for 30 seconds while maintaining a voltage of at least 7.2 volts. For example, a 12-volt battery with a 600 CCA rating means that at 0°F, the battery will provide 600 amps for 30 seconds without dropping below 7.2 volts.